Boom or maturing? It’s hard to throw a stone without hitting an e-invoicing company these days. 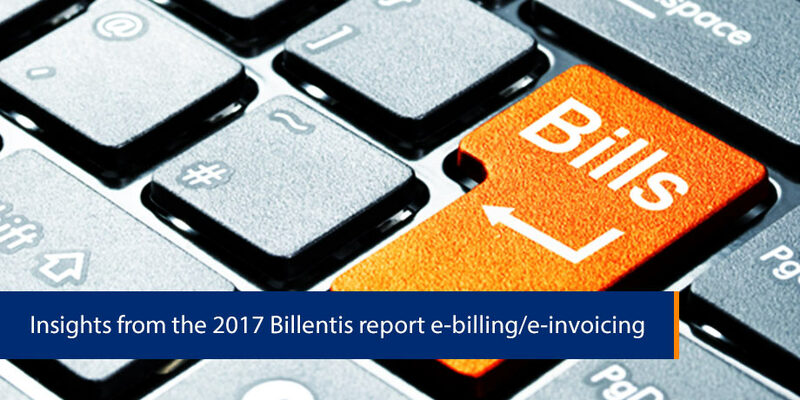 Bruno Koch estimates in the 2017 Billentis Report that there are now over 1500 specialized e-Invoicing providers worldwide. What started out as a digitization and efficiency play has been overtaken by government initiatives aimed at closing the fiscal gap between actual revenue and VAT reported revenue. This means that organizations (mainly in Latin America and increasingly in Europe) are required to utilize a government sanctioned clearance model to report their invoices on a near real-time basis. The good news is that this brings the cost savings and efficiency that has always been the promise of a fully networked e-invoiced economy. Although over 90% of invoices are still processed manually, this number is reducing every year. This percentage does not include financial documents that are not a “demand for payment” e.g. bank statements. The definition of an “e-invoice” has been narrowed to only include a fully dematerialized demand for payment that meets the requirement to have 10+ data fields and is the only representation of the actual invoice – any printed versions are for ease of human reading, rather than an official copy. Under this definition there are 400 billion bills/invoices and invoice-like documents produced for B2C, B2G and B2B in the world. Of these a good guess is that the e-invoice market is 36 billion or 9%. Billers with large disparate customer bases tend to have simple digital document solutions that start with PDF invoices attached to emails and go from there. Billers with high value but lower volume requirements have been faster to move to end-to-end automated invoice exchanges. These billers have the inherent opportunity to remove the uncertainty of receipt and payment by excluding human intervention and matching data points for straight-through processing. Led by Latin America, now by Asia and being adopted by Europe, e-invoicing is being used to drive tax compliance and to track Vat through the economy. This means that audits and compliance move to a real-time process and rely on designated service providers to record the invoice numbers and provide a third-party repository of document details. This prevents the circumstance where the seller under-reports their Vat and the purchaser inflates it. In the US – due to the state-based sales tax, as opposed to Vat – the same tax and compliance pressures are not apparent and so large businesses look for cost savings from fully automated Accounts Payable (AP) functions. Discounting, factoring and cash / treasury cards are also influencing factors. Cost savings of 80% of the AP cost are still used for the rationales behind e-invoicing projects. The combination of email as the transport mechanism and PDF/A-3 as an archiving friendly format, including embedded data, is being used by Germany and France in line with EU directives. A key driver for new e-invoicing initiatives is governmental requirements for public contracts (B2G). This requires the vendor to submit their invoices to the government in electronic format and begins the network effect in that country. Large organizations then follow suit and also require all their vendors to move to electronic documents and this continues to trickle downwards. With the above mentioned 1500 vendors in Europe alone, there are plenty of organizations ready to assist with this migration. Bleeding edge solutions that incorporate blockchain ledgers for the recording of invoices for public scrutiny are being piloted in a few countries as this technology is finding the most appropriate applications. Cloud service providers are taking these forward thinking technologies and combining them with SaaS based solutions to form aggregated virtual offerings including robotic process automation. All in all the market for digital documents is a vast opportunity for cost savings, efficiency, transparency and regulatory compliance. It’s not showing signs of slowing down anytime soon. Michael is the founder and CEO of Striata. A Chartered Accountant by profession, he started his career at PwC where he was responsible for Internet Strategy & Services and Business Information Services. The technology bug having firmly bit, he moved to VWV Interactive as Managing Director before establishing Striata in 1999. He was the founder of the South African chapter of First Tuesday, the "Global Thought Leadership Network". 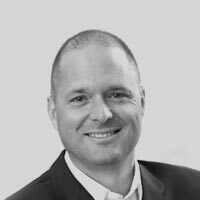 As Striata's CEO, Wright is responsible for the company’s vision, direction and the business’ global expansion.